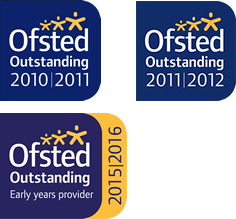 The nursery benefits from an extremely strong leadership team who are passionate about their work. 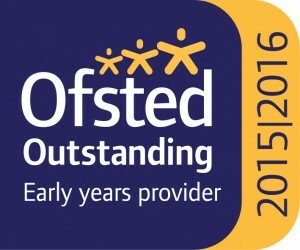 They demonstrate a clear vision for providing the very best quality childcare. This shines through in every aspect of nursery life. Without exception, all staff have an extremely secure knowledge and understanding of how children learn. 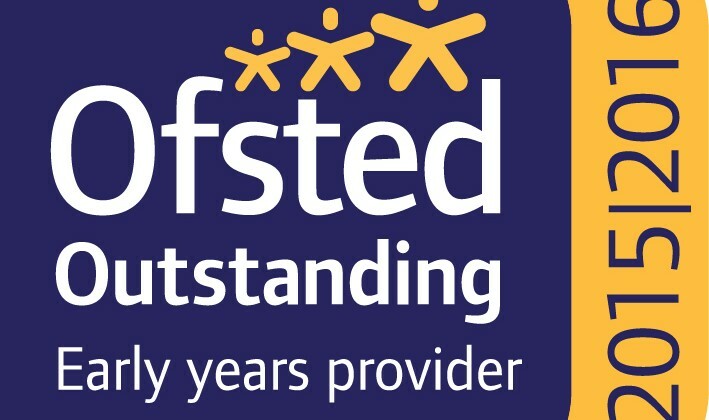 There is a high percentage of qualified staff which impacts positively on the outstanding quality of teaching. Children’s emotional development is exceptionally well promoted. A very well established key-person system means that children build strong relationships with staff from the start. Children are settled, happy and very eager to learn. Staff are extremely good role models for children and have high expectations of what they can achieve. Behaviour, even amongst very young children, is exemplary. Staff provide an extremely enabling environment. Children have access to interesting resources and are constantly involved in a wide range of exceptional learning experiences. Planning and assessment arrangements precisely focus on every child’s individual needs. This ensures that all children, including disabled children or those with special educational needs make rapid progress from their starting points. Parents are fully involved in their children’s learning. They regularly make meaningful contributions to the educational programme. The leadership team places a very strong focus on self-reflection. here is a clear action plan to drive forward improvement. Exceptionally high standards are maintained throughout the nursery.